This time around I’m trying the most signature shade in Louboutin permanent range. You wanna guess the shade? Yeah 🙂 Red. One shade – two shapes. Here’s the first one. Rouge Louboutin. The colour of ever so famous Louboutin shoe soles. Blazing red. Before we get to the shade here let’s talk about the bottle. Yes, the bottle. Trust me, there’s a lot to talk about here. Let me start by saying – it’s huge. Truly so. I mean it. I don’t know about you. The fact that it’s so big is inconvenient, to my taste. Too big. I mean, what happens when I travel? Can I bring this along? Nope. Definitely not. I don’t like that the bottle is encased in carton. Carton in luxury market? That is, paper packaging in luxury market? I don’t think so. Not my kind of thing. I’ll give them that though – inside this carton thing there is a regular bottle hidden, I think. Or something. 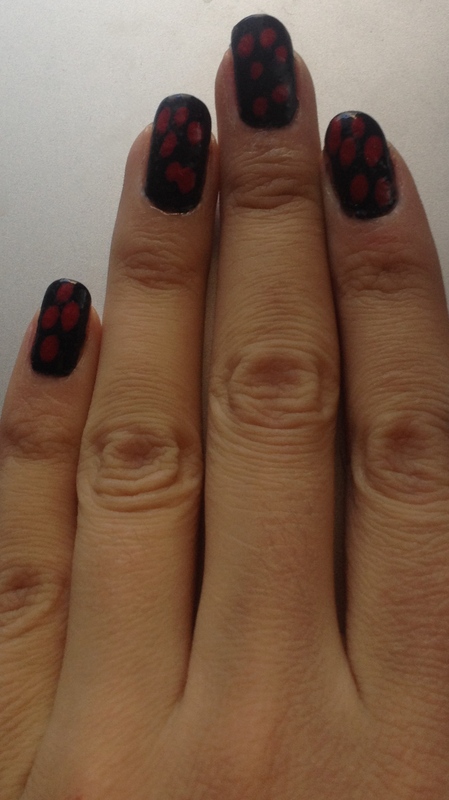 Last time I tried it I was not a fan of Louboutin nail colour formula. Unfortunately, it holds true. It’s Ok from the point of view of application, there’s just something about this nail colour formula though that takes forever to get dry. I don’t know what it is. It takes as long to get dry as I’ve ever seen in luxury market. 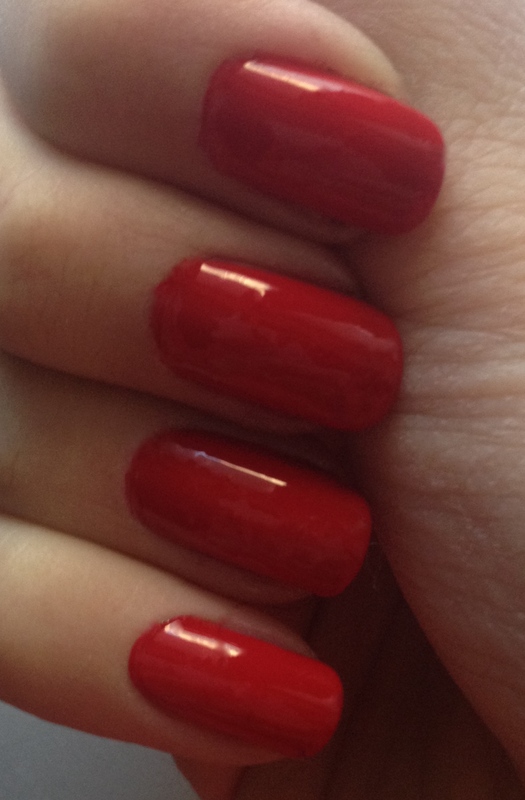 And yes, I was using my favourite Chanel top coat over it that usually speeds up the drying process. And it failed to do that with this nail colour. 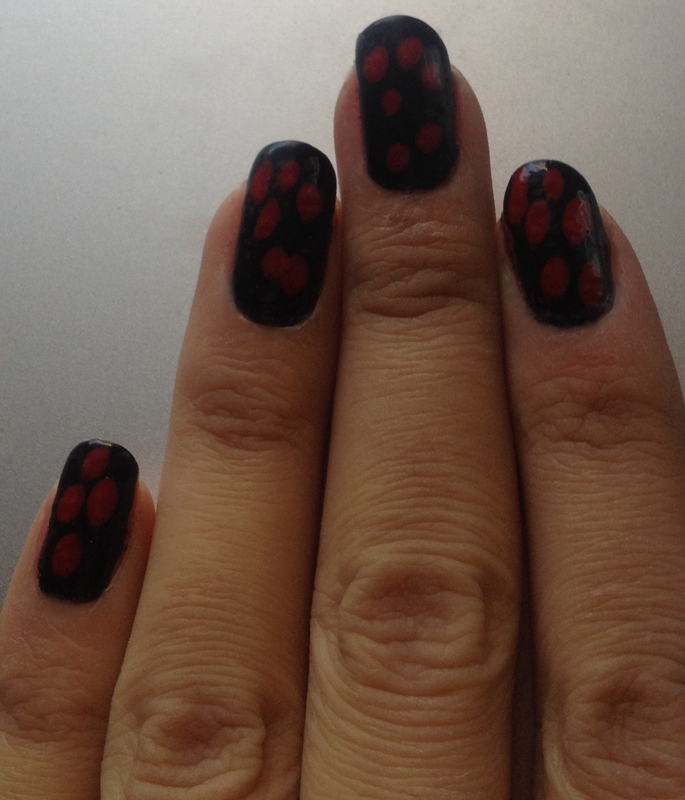 I’d say, my overall impression of the nail colour this time around is a little bit better than last time. Last time I was like – oh, this is horrible. This times it’s more like – hm, it’s better, could never be my favourite though, too many things will have to change first. Here’s one good thing though. The brush is smaller, thinner and is quite nice. I like it. I like this red shade too. There’s something about Louboutin red. About those shoes. About those soles. About this shade. It’s bright and vibrant. Just the way I like my red. I don’t like it when it’s dark. I like it glowing. In all its red glory. And that’s what I get here. A good take on red, I’d say. A great one even. Dangerously hot, still wearable in everyday life, because it’s just such a timeless classic. 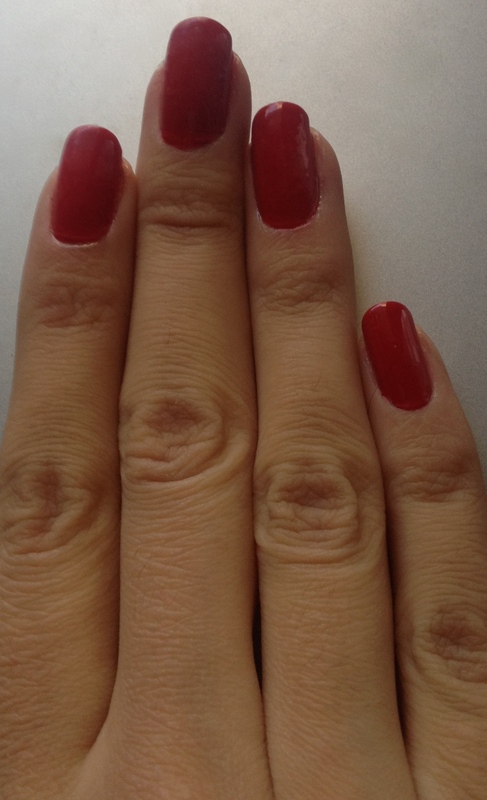 Here’s the second nail polish from Louboutin permanent range. The same shade though. What? 🙂 Bear with me, I’ll explain. 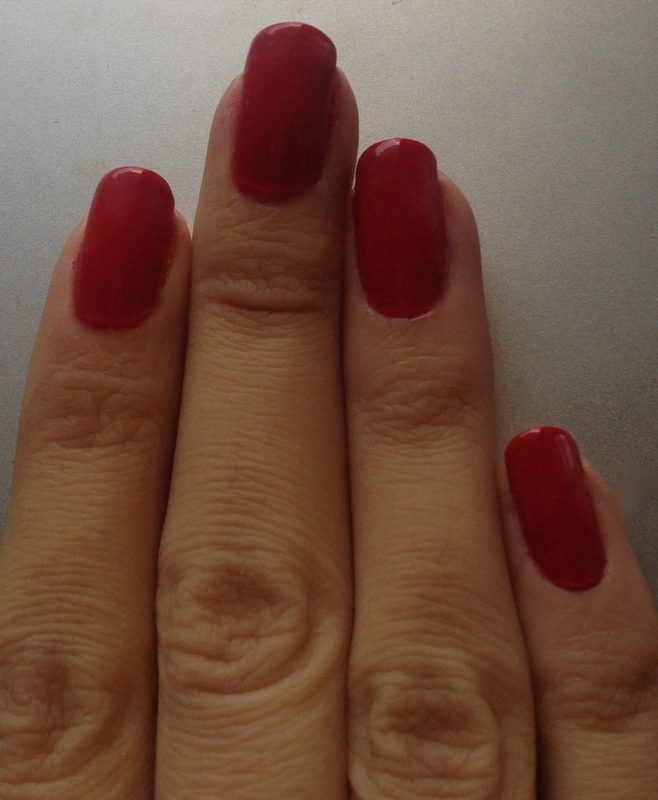 Loubi Under Red is the same signature Louboutin red, only it’s actually designed to paint… under your nails, pretty much. That is, the opposite, inner side of your nails. It’s an equivalent to Louboutin shoes red soles. You know, like even when their shoes are flats, even when you can’t see the soles, they are still red. The same here. Even if no one can tell the underside of your nails is painted red, it so is 🙂 That’s a cool artsy design idea. What makes it actually tuned for painting under our nails, if the shade here is the same? The brush. 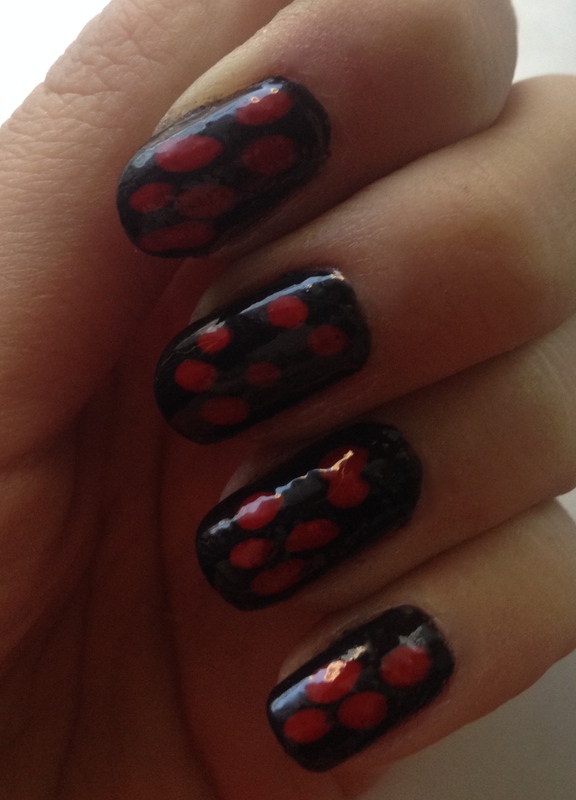 It is designed especially to paint UNDER our nails to create Louboutin red soles feel. The brush is thin. Not too thin though. I expected thinner, to tell you the truth. Anyway, that’s my take on Loubi Under Red. I don’t know what you want to do to with it, if anything 🙂 My personal conclusion is Loubi Under Red is a cute toy. More toy than nail colour to me. I’d say, having used these two – Rouge Louboutin and Loubi Under Red – my impression of Louboutin nail colour has improved some, but not all the way. Their design is creative, couture, love that part of it all. To me though the nail colour itself just has to be better. Seriously, it has to. Especially as it costs double the average luxury market nail colour price.